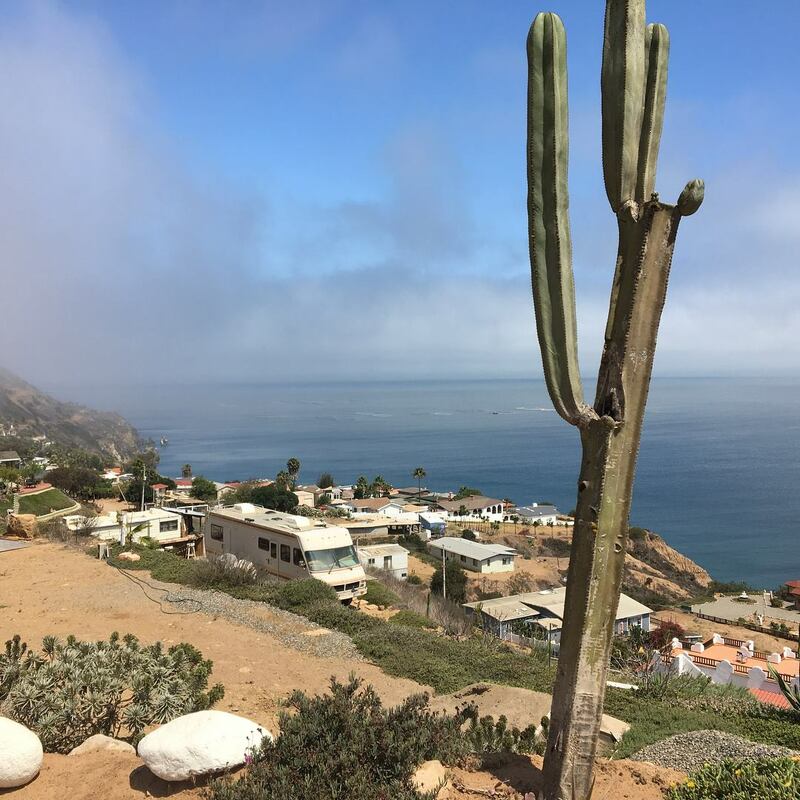 Common Core Money: Financial Literacy & Success Inspiration: Is Ensenada, Baja CA, Mexico A Suitable Retirement Destination For You? 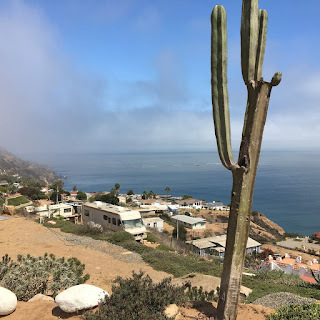 Is Ensenada, Baja CA, Mexico A Suitable Retirement Destination For You? Welcome! 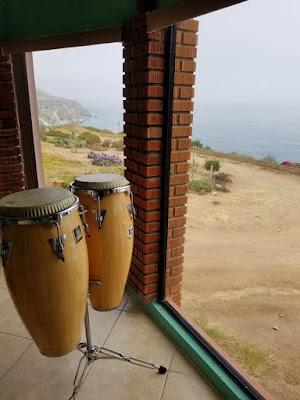 Today's post is about retirement living in Ensenada, Mexico. 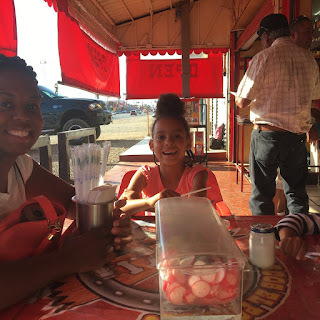 I recently returned from a 3 day family vacation in Ensenada. 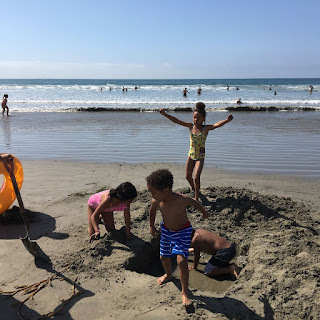 Earlier this summer, my wife and I had entertained the idea of going to Rosarito, Mexico for a short vacation with our kids. We applied for Passport Cards (ID's that serve like passports when crossing the Mexican and Canadian border by vehicle) and even booked a place using Airbnb.com. But we canceled the booking in the end and instead used the money to place our kids in a Girls and Boys Club weeklong camp. It gave us a much needed respite from parenting duties from 7:30 a.m. to 5:30 p.m. for five days! Out of the blue I commented on a friend's post on Facebook, namely, that when I visit Ensenada I'd let him know so we could hook up. 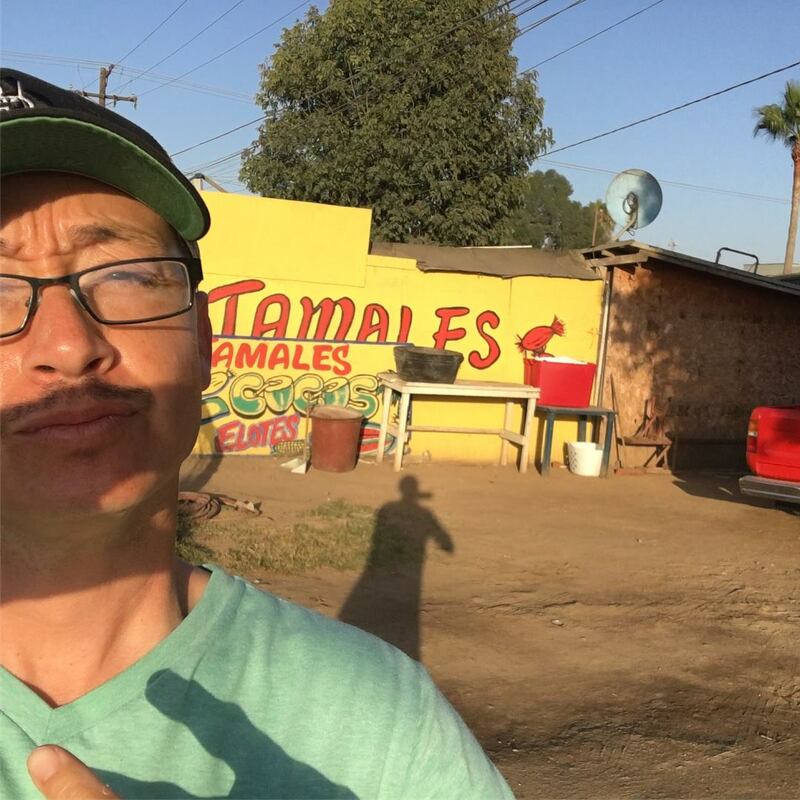 He's a retired Chicano living there with his Mexican wife and kids. Much to my surprise, my friend offered to let my family use his cliffside house (he rents another house in a neighborhood called, Coronel Estaban Cantu) overlooking the Pacific free of charge! So with my wife's encouragement, I contacted him and asked if his cliffside house was available July 23rd to July 26. It was and we had a week to plan our Mexico adventure. It was an opportunity we couldn't pass up! Now onto some financial details. I left Oceanside, CA this past Monday with $280 in my wallet and a full tank of gas. I spent an initial $54 to insure (full coverage, including vehicle theft) our Lexus RX 350 using Bajabound.com for three days. 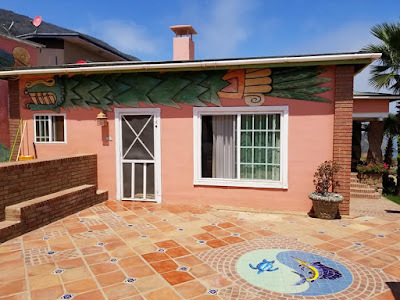 Ensenada is about 68 miles from the border, and my friend's house is in South Ensenada so we were over the 70 mile coverage provided by Allstate. 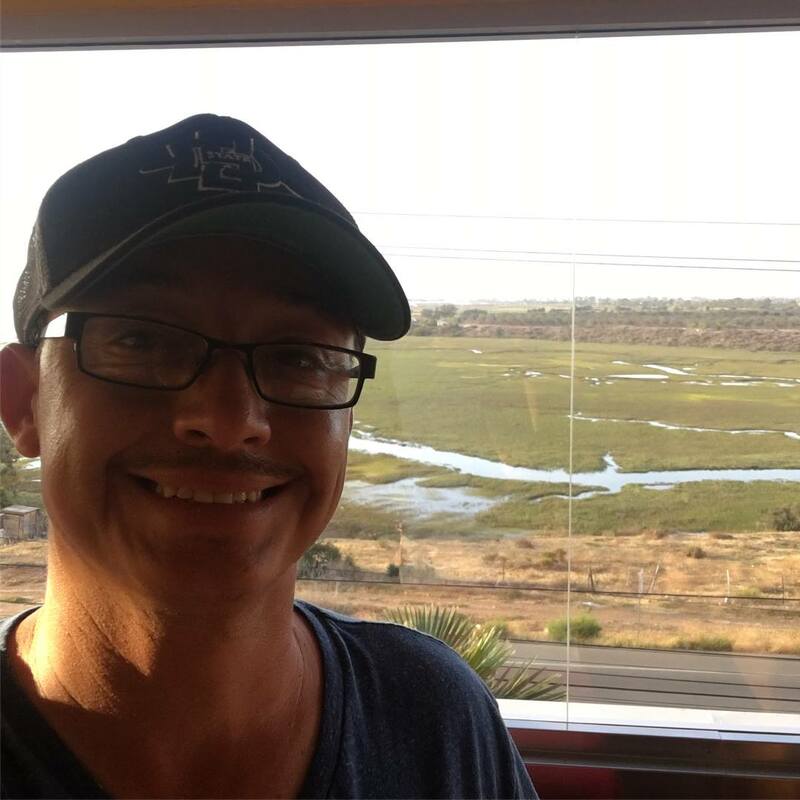 Getting Mexican insurance in addition to your own American policy to cover liability is not a bad idea even closer to the border. It's cheap and provides peace of mind. 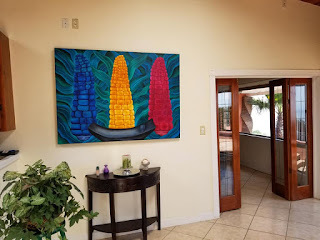 Bajabound.com is a great site and very easy to get in and out with exactly what you need. In San Ysidro, CA, prior to crossing the border, I swapped $180 into Mexican pesos. The exchange rate I got was 18.55 pesos for $1. I recommend you always have Mexican currency on hand. Why? While most places near the border and indeed, even in the whole of Mexico, take the dollar, vendors and businesses will give you a sub-market exchange rate inland. It's an easy ride to the coast once you cross the border. You literally run parallel to the border wall until you reach the Tijuana, MX playas (beaches). Take the scenic road. It's a toll road, but you'll save a ton of time. Currently, the toll fare is $2 or 35 pesos. So you'll save about 11 cents each time if you use Mexican currency. There are three toll booths you'll need to stop at before reaching Ensenada. We used a little over a quarter of a tank of gas to get to Ensenada. Our driving time from Oceanside to Ensenada was two hours. But...getting to my friend's cliff house in Rancho Packard, a small enclave about 1 mile from the famous tourist destination, La Bufadora, took another hour. We had to drive through central Ensenada and make our way south on Avenida Reforma until turning onto highway 23, running up the peninsula. Though traffic sucked, with multiple lights stopping our progress here and there, it did give us a chance to get a great look at the shops, restaurants, and services Ensenada has to offer. We saw American chains like Subway, McDonald's, Sam's Club, Costco, Walmart, 7-11, Starbucks, Applebee's, and the Home Depot, along with their Mexican counterparts like Calimax (supermarket), Oxxo (convenience store), and Elektra (like a Bestbuy). Of course there were a multitude of privately owned Mexican eateries and shops. Driving in Mexico is not that different than driving in the U.S. The stop signs are the same except they say, "Alto." The street light colors are also the same, but even better, when green is about to turn to yellow, it starts to flicker, warning you. The main difference is merging. In Mexico, many streets and strip mall parking zones are unpaved. So you have to merge and get off with purpose onto and off the main road, and you don't always have the best traction. Expect your car to be dirty, by the way. A film of dust covered our car. At the famous blowhole: La Bufadora! 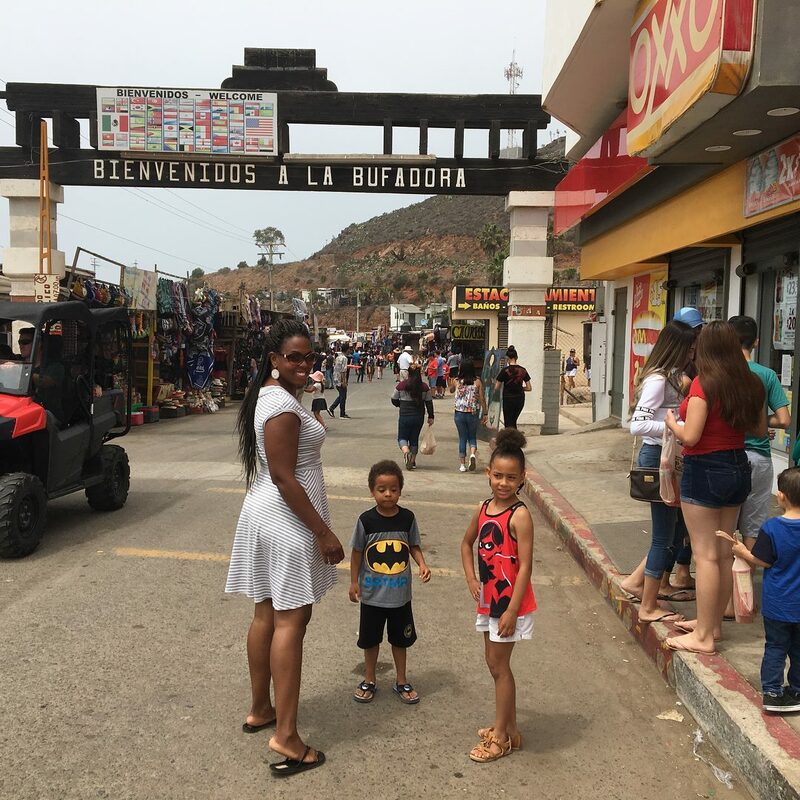 Ensenada has everything an American needs and it usually is a whole lot cheaper. We went grocery shopping at a Calimax a couple hours after we arrived. We spent an equivalent of $58 in groceries. The same goods would have probably cost over $80 in the U.S. Get plenty of bottled water unless you want Moctezuma's revenge, a.k.a. chorro, a.k.a., the runs. Remember that Mexicans (and ex-pats) have an immunity to the bacteria responsible for infection that causes a bout of diarrhea. You don't! So don't drink the water, freeze water into ice cubes, wet your toothbrush, etc. Use bottled water to wash your vegetables. Washing dishes is okay since you're most likely going to use an antibacterial dish detergent. 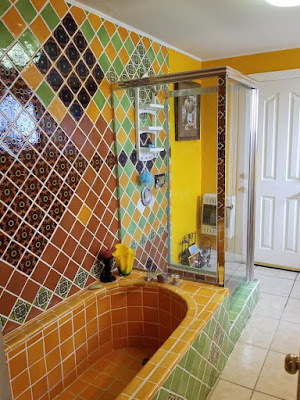 Showering and bathing is also okay so long as you don't drink the running water! If you retire in Mexico, just be prepared to get this infection once. You'll be fine afterward. As I see it, there is no point to leaving the U.S. to live in Mexico if you won't have a front row, cliffside house overlooking the Pacific, or a beach house with sand in front of you. Unless you are poor and have absolutely no way of retiring in the U.S., don't buy a home or a lot to build on that's far removed from water. A ranch? Too much work in it for me. A cottage in the Sierra? Nah! You can rent or own a cabin here in the U.S. It's all about the view. My friend's house sits in prime real estate position with an incredible view. To his right, you can see the strand of Ensenada known as La Jolla, and Baja Cove beach. 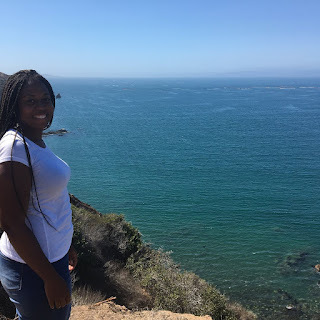 We spent a day at Baja Cove and I swear to you it was like spending a day at a North County San Diego beach. Only inconvenience was there not being a public bathroom. How does 6 tamales for $5 sound? 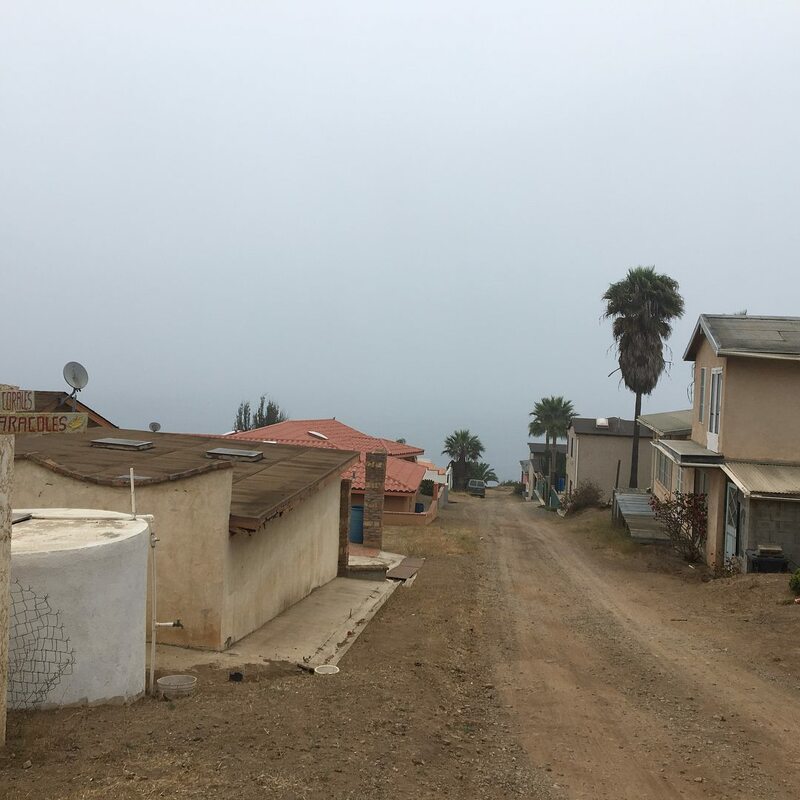 My friend pays $75 to rent the land under his house which he values at about $150-180K. It's a 3 bedroom, two bath, with incredible style. This arrangement works for him. The landowner collects his $75 monthly, but he has no rights to the house. If my friend wants to sell, he can, provided the buyer understands he leases the land. Sort of like trailer home living where you pay rent on your space. There are no property taxes! His house has wi-fi, and Dish TV. The Internet is okay. 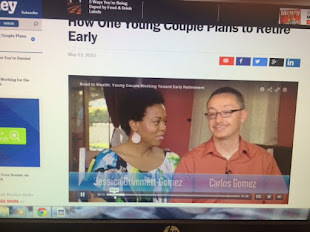 I was able to get on all my social media and regular online sites. I didn't ask him about his Internet speed though I'm sure Mexico's hasn't caught up yet to the U.S.
Jessica takes a closer look. Directly in front of the house is this view! Rancho Packard and Baja Cove Beach are two communities where many American ex-pats live or vacation in. In fact, while at Rancho Packard, I spoke English with three different neighbors I met. It's a gated community but the gate keeper sits in a shack and simply opens the door for entering and outgoing vehicles. He doesn't even leave his shack! He's tied a rope to the gate and pulls on it each time. LOL!! But you don't need security. We left windows open every time we left and nothing was ever stolen. You need clearance to get in, however. You must name who your host is, and hopefully your host has informed the gatekeeper that you are coming. Once your car is approved for entry, the gate opens and closes without further issues when leaving or coming in. My friend said there are burglaries at Baja Cove Beach, where thieves break entry and steal electronics, jewelry, etc., but not the murdering type of criminal. Neighbors get together and hire security to look after a group of homes. If you can afford it, you can hire your own security! It's really the same as in the U.S. 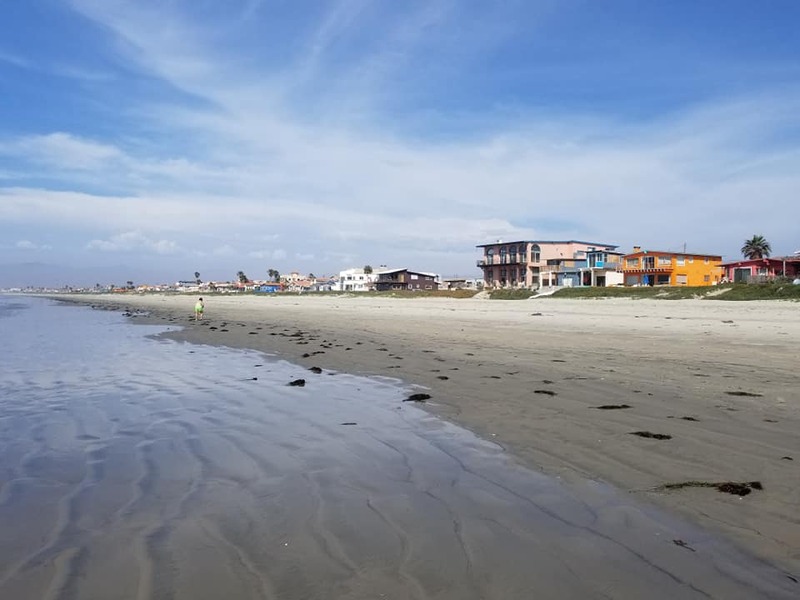 If you're paranoid, you can live in a more secure Baja community like Bajamar, about 15 minutes north of Ensenada. This is a bubble to me. Not real Mexico. We went out to dinner twice. At La Poblana in a community called, Maneadora, we get some insanely delicious tacos. It's outside eating, with flies flying around you and a noisy main road, but the tacos are the best in town. We paid like $25 for 12 tacos and 3 drinks. If you want a clean, American style restaurant, try Junior's Burgers in Ejido Cantu. They got both Mexican and American food, and a bar. The food was delicious and we only payed $28 for four full meals! There were two tables occupied when we arrived, all older Americans. The view of the estuary is amazing. On our last night there, we drove to King Pizza in Maneadero and ordered a large. It was less than $10 and it tasted great. We also bought ice cream for desert at a nearby neveria. We took a pint and half home for $8. Ensenada does have a hospital, and several clinics. Plus there are many doctors who have a practice. Of course there are pharmacies galore. There are many gyms in Ensenada so that will help you stay in shape. Driving there and back home will not be as fast perhaps as in the states, but hey...you'll make up for it with a super cheap membership. How about the health benefits of drinking beer and wine? Well, much to my surprise I found craft beer sold at the Calimax. I stocked up for those three nights. The wines there are also great. Wine country, the Guadalupe Valley, is a short drive away. Next time I go to Ensenada I'll have to visit several wineries. 3) Safety: 7 (never felt unsafe...of course, I'm Mexican and speak Mexican Spanish...this helps a lot). Don't look like a wealthy American and you should be fine. We enjoyed our Mexican vacation very much. The only downside was crossing the border. We spent 2.5 hours in the car waiting to get to the ICE agent at the booth. There are any vendors at the border so save some pesos prior to leaving. 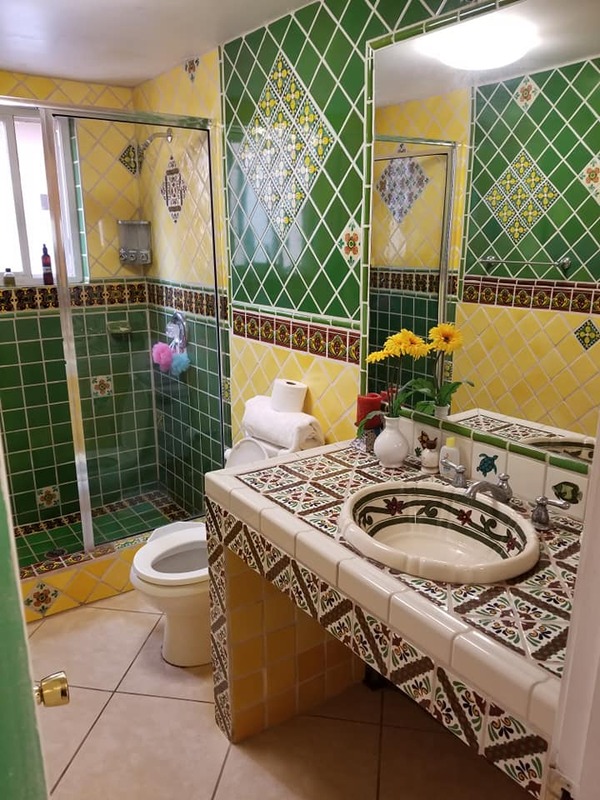 You can buy souvenirs, food, or even pay for a visit to the bathroom! If you want to help the poor people there, donate your coins or small bills. We will surely revisit Ensenada and our friend in the future. If you take a cruise there, get off the boat and have a look around. This city has lots of charm. Until next time!